When scrolling through Pinterest do you always find yourself pinning DIY type posts? Well I always pin DIY beauty posts because I think it’s so fun and interesting to see what kind of products you can make from the comfort of your own home. I’ve come up with 3 different beauty products that I wanted to share with you all today, I was kindly sent a hamper kit from Mira Showers to create these products and I also grabbed a few extra things from around the home to make them just perfect. Mira Showers have teamed up with Midas Touch Craft to launch a campaign with some UK beauty bloggers so make sure you check out the #MiraMessMakers hashtag to see what the other bloggers made, I hope you enjoy my post! 1. To create my lip balm I started by popping some soya wax into a microwavable container and heated it up until it was a liquid, it took about 3 minutes to fully soften to a liquid from wax. 2. I then poured this into my lip balm pot and added cocoa powder for a bit of flavour. 3. At this stage I broke up and ground a ginger tablet, the ginger causes the blood to rush to the surface of the lips causing the Kylie Jenner plump lip effect. I then added it to the mix along with the a Vitamin E tablet, I added Vitamin E to ensure the lips can be fully nourished for the winter season. 4. 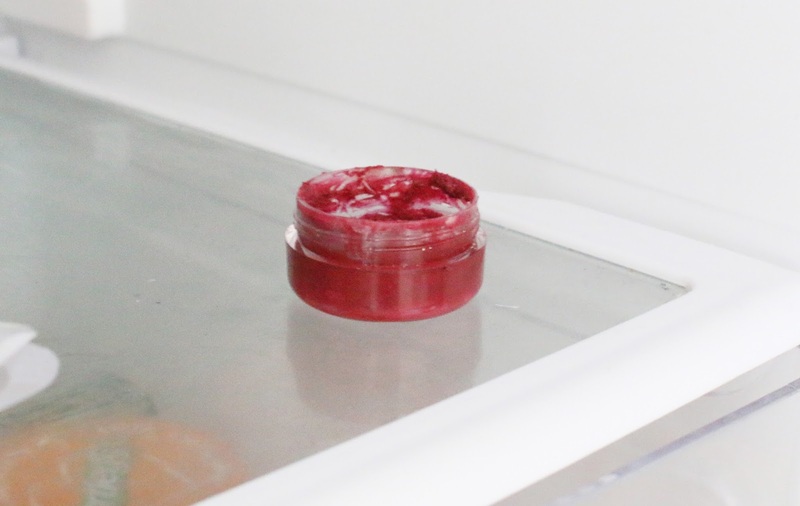 Lastly I added some shavings from a berry lipstick, I wanted to create a nice berry tone to the lip balm and I also popped in some coconut oil to create a more glossy effect. 5. Once all has been mixed well I popped in the fridge for an hour and hey presto you’ve got yourself a personalised nourishing lip balm! As easy as that! 1. The lip scrub is super easy to make, start by adding brown sugar to a small bowl. 2. Add some cinnamon for flavour. 3. Add honey to make the scrub stick together and form. 4. Add some Coconut Oil to create a nourishing scrub. 4. 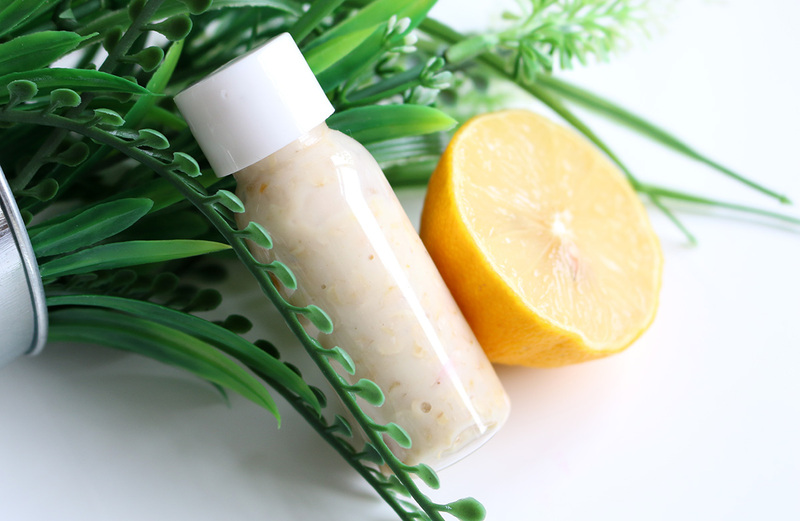 Pop in a pot and that’s it, you’ve created a nourishing and cleansing lip scrub! Tip: Use this on your body and hands for extra smooth skin! 1. 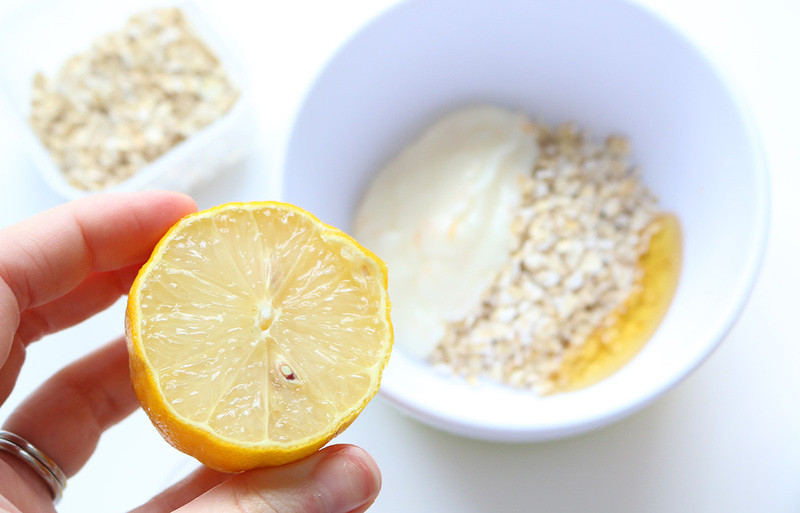 I call this a scrub and mask because you could use it as both, add some oats to a bowl and squeeze half a lemon into it. 2. 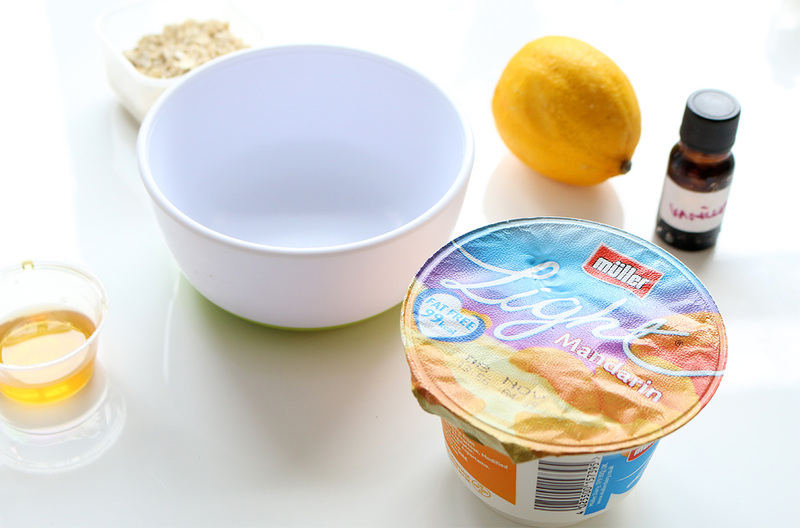 Pop to the fridge and grab some natural yogurt and mix it in with the oats and lemon juice, I used a mandarin yogurt because mandarin helps to reduce the sign of ageing like wrinkles, fine lines and blemishes it also gives your skin a healthy looking glow! 3. Finally add some honey and some vanilla and fudge essential oil for scent then mix and pop in a container! 4. Apply to the skin using circular motions, leave on for 5-10 minutes and be amazed with the results. Soft glowing skin!I hope you enjoyed this DIY type post, it was super fun to create! 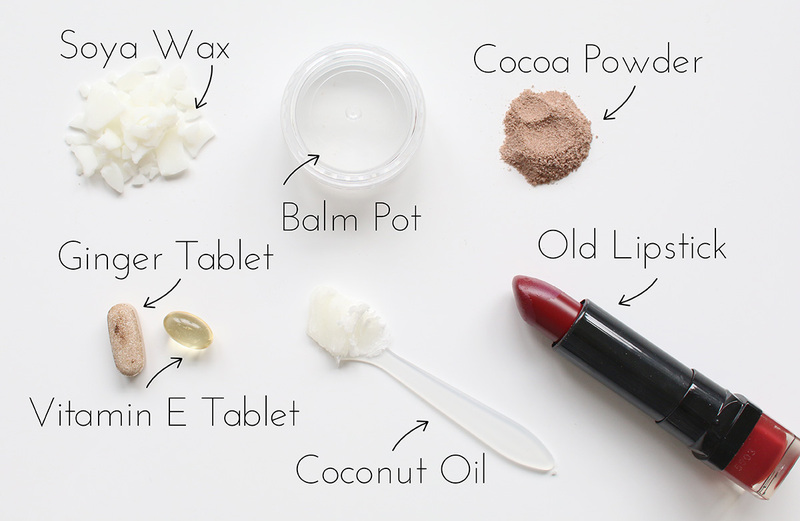 Have you ever made your own beauty products before? I’d love to know what you created! Previous Post Personal Style // Meow!